A majority of City residents who participated in this year’s statistically-valid Citizen Survey ranked Port St. Lucie as excellent or good in several categories including: overall image, quality of life and appearance, safety and place to live, retire and raise children. This was the second year in a row that Port St. Lucie joined hundreds of cities across the country in conducting a survey to measure the quality of life for residents. The National Citizen Survey™, which was conducted by the National Research Center, Inc., is a snapshot in time showing how Port St. Lucie residents from across geographical areas feel about their city. The 2019 results show positive changes over time in multiple areas. For example, 78 percent of the participants ranked Port St. Lucie’s quality of life as excellent or good – up 26 percent from a baseline survey conducted in 2009. Additionally, 76 percent rated PSL as an excellent or good place to retire – up 19 percent from 2009. A key conclusion in the 2019 survey was that residents’ scores for travel around the City tended to be lower than the national averages, including the evaluations for overall ease of travel, transit and most modes of travel. These assessments show an area of opportunity for Port St. Lucie regarding overall ease of travel and alternate forms of transportation. The results of this Citizen Survey and information gathered from participants at the 2019 Citizen Summit, which was held on Feb. 23, 2019, will be used by the City Council as it updates the City’s Strategic Plan. The survey captured opinions within three primary pillars of a community: community characteristics, governance, and participation. Seven central facets are observed within these pillars: safety, mobility, natural environment, economy, recreation and wellness, education and enrichment, and community engagement. As part of its participation in The National Citizen Survey™, the City of Port St. Lucie conducted a mail survey where 324 participants responded (results of which are statistically valid and have a +/- 5 percent margin of error) and a web-based survey to its residents through a link on the City’s website, where 3,428 participants responded. Safety was a top priority for residents. 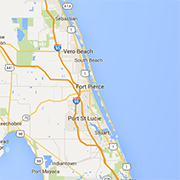 About 8 in 10 residents positively rated the overall feeling of safety in Port St. Lucie. About 9 in 10 residents felt safe in their neighborhoods and commercial areas, and all safety-related services provided by the city were given high marks by the majority of respondents and were on par with the national averages. Affordability is an asset in Port St. Lucie, according to the survey. Respondents gave high marks to cost of living, availability of affordable quality food, health care, mental health care, and child care/preschool; these ratings were aligned with national averages. Residents’ ratings of availability of affordable quality housing were strong and higher than the national benchmarks; these ratings also increased from 2018 to 2019. Results from the 2018 survey have already been utilized by the Council in setting several strategic priorities, including selecting the projects that will be paid for with the new half-cent sales tax and the creation of the Civic Center’s Free Friday Concert Series. Strong support in the 2018 Citizen Survey for new career technical opportunities played a role in the City Council’s decision to partner with Somerset Academy Inc. for the creation of a Career Technical Academy on City-owned land. In the 2019 Survey, almost all community members showed support for this academy, with 52 percent strongly supporting it. To read more about the results of the 2019 and 2018 Citizen Surveys, please visit www.cityofpsl.com/citizensurvey.